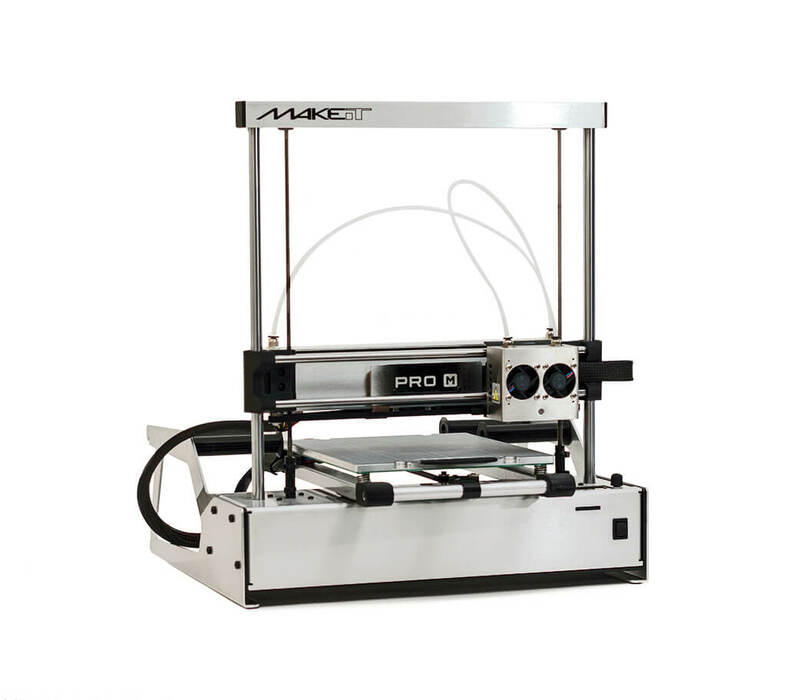 The Pro-M is your entry point to additive manufacturing. Dual extrusion, high precision, expert support, and proven durability together in an affordable package. Gain the additive advantage when you start with a Production Pack. 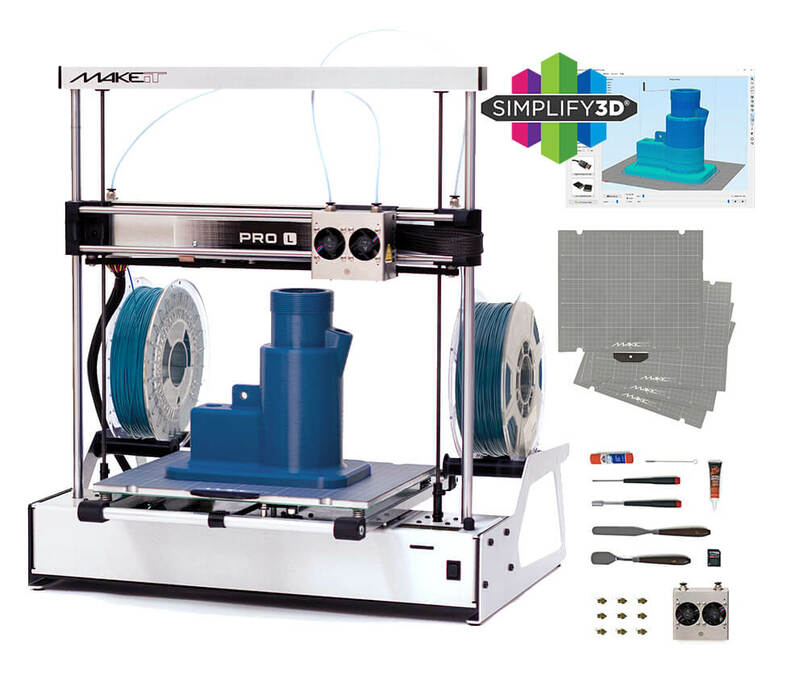 Includes Simplify3D printing software, remote training by MAKEiT expert, extra print head, and total over $2000 in value of goods and services. Where can I find MAKEiT? Who couldn’t use more desk space? 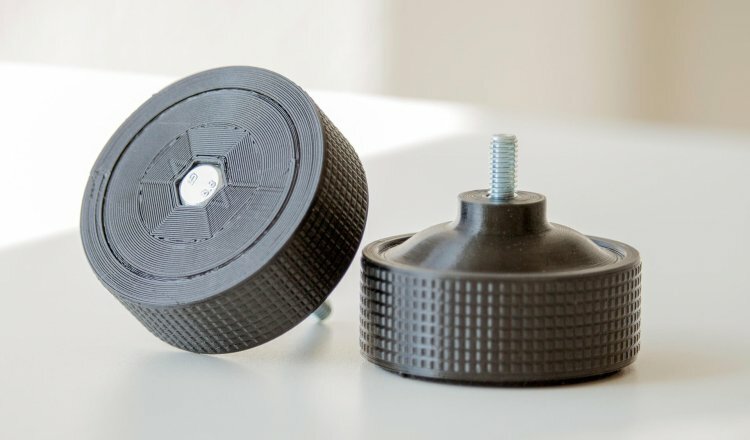 MAKEiT’s unique wall mounting feature turns any wall or corner into a slick 3D print hub. 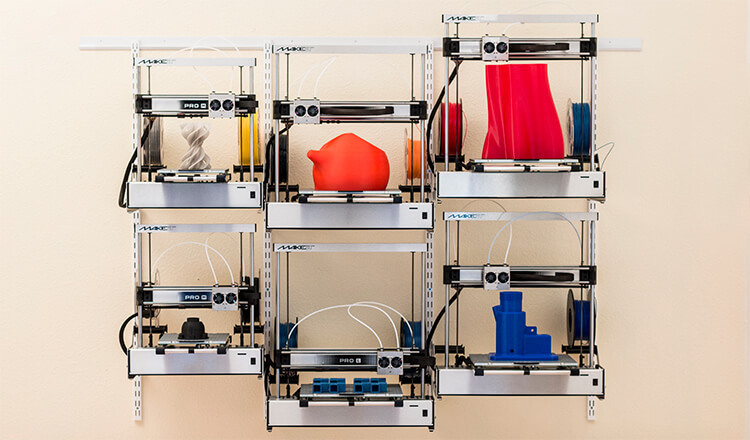 Easily scale your organization’s 3D printing with a compact wall mounted installation. 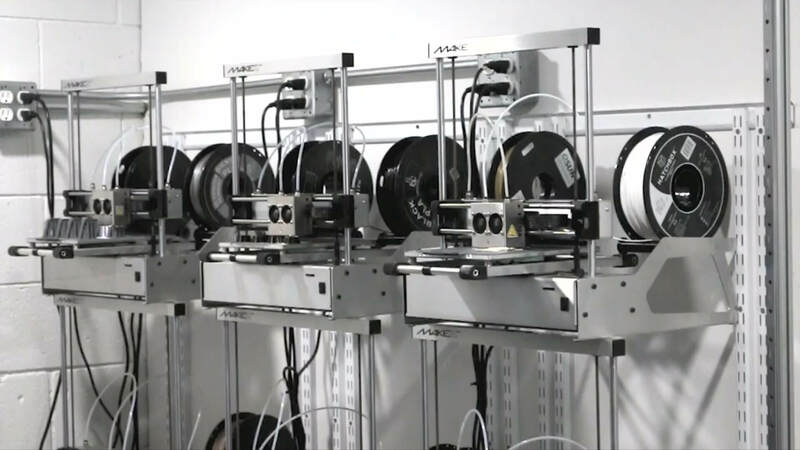 Contact us directly for pricing on multi-printer packages. 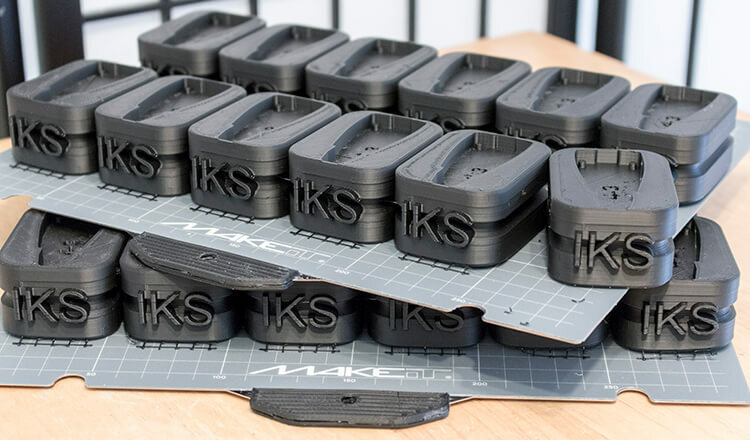 Dual-nozzle duplication and repeatable batch printing means MAKEiT 3D printers are perfect for additive manufacturing applications. High output, easy operation, and low downtime are even better when paired with Factory Support, our remote expert service.